Today's post is going to be on Etiquette-care! It has always been skincare, slimming or cosmetics! This is one of the most important part of a girl-hood alright? We need to be clean, neat and tidy. We need to be presentable on the outside, as well as inside! So this section is relatively important! 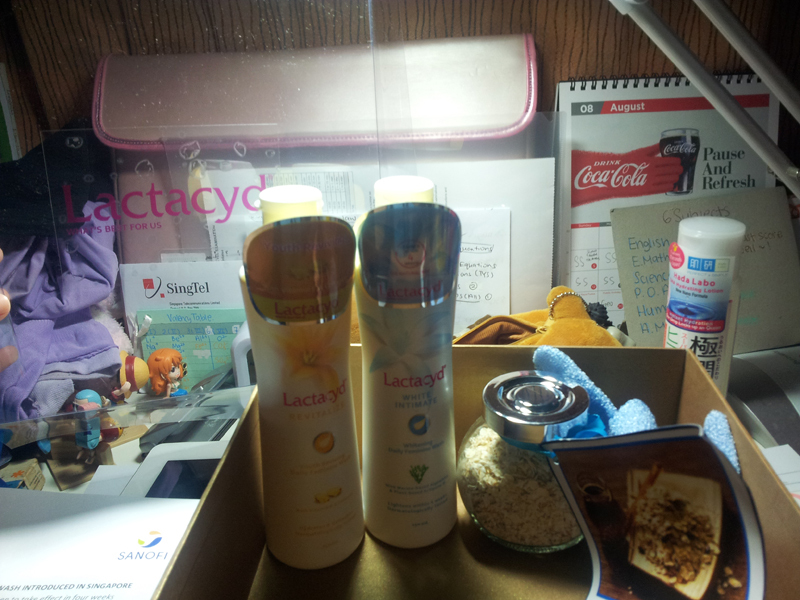 I'm going to introduce a Feminine wash product today, it's the Lactacyd White Intimate and the Revitalize! Ehh hemm, some girls may ask.. What is a feminine wash? Some girls, or even mothers, think that it is alright to wash their private areas with our daily body soap. That's a total BOOOOOO~ ! Especially to a girl. 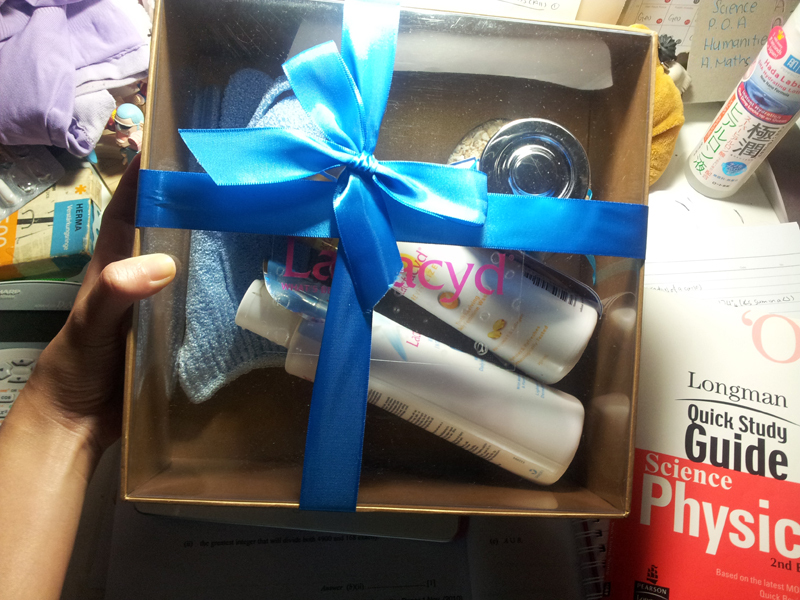 Lactacyd has been a brand focusing on intimate wash and wipes for girls and ladies. It's 3.5(for menstruation days) ~ 5.2(for normal days) PH value cleanses your private area excellently while not damaging it's natural ability to protect itself from infections. It is very important to wash your private areas at least twice everyday! Please remember! It is also not that embarassing to purchase feminine wash products from convenient stores or markets. Since we all have to buy sanitary pads every month, so why not get these soaps/wipes together with it! It is only about > SGD13.90 per bottle, can be used for up to 2~3 months. I find it an absolute need for these products for your private hygeine! Other than cleansing, what else do we look for in a intimate wash? Due to our asian's apparels and *undies*, we tend to "wrap-up" our private area. This will cause our private area to slightly or vastly darken. It would be very unsightly when we want to wear bikinis at the beach. Your lower area may look slightly darker than the rest of your body. Lactacyd White Intimate solves the problem. It whitens and cleanses at the same time! It is proven to lighten your private areas! if you are looking for one that lightens your private area~ ! Next, I'm going to talk about Lactacyd Revitalize. This is the Youth Reviving Feminine Wash. It contains collagen and vitamin E! It is to keep your inimate area fresh and young. Suitable for working ladies who needs to *maintain*! This product not only cleanses but deodorises, all-in-one! Good for girls facing such problems as well. These inimate wash, not only cleanses and keeps personal hygeine, it gives us confidence too. Remember to grab yours from the nearest supermart as soon as possible! You may choose to redeem your TRAIL KIT from the Lactacyd Official Facebook Page! Click on the link above and state that you're referred by "www.Kiyomilim.com" !